This past Valentine’s day Mike and I went for dinner at Hawksworth. Everything was delicious, but one of the stand outs was a simple crab salad. The crab was fresh, sweet, and perfectly paired with some micro greens, a celery gelée, and house cooked salt and vinegar chips. It’s no surprise that the crab salad was one of my favourite dishes of the night. I’m pretty sure I’ve been brainwashed to love crab – like any good Asian girl, it’s been drilled into me that fresh seafood is the best of the best. Growing up, my seafood-obsessed parents would often bring home live crabs destined to be cooked into a feast. I haven’t cooked any live crabs myself, but I think I’m going to be doing so soon. After all, fresh is best. For this salad, I bought jumbo lump crab meat. 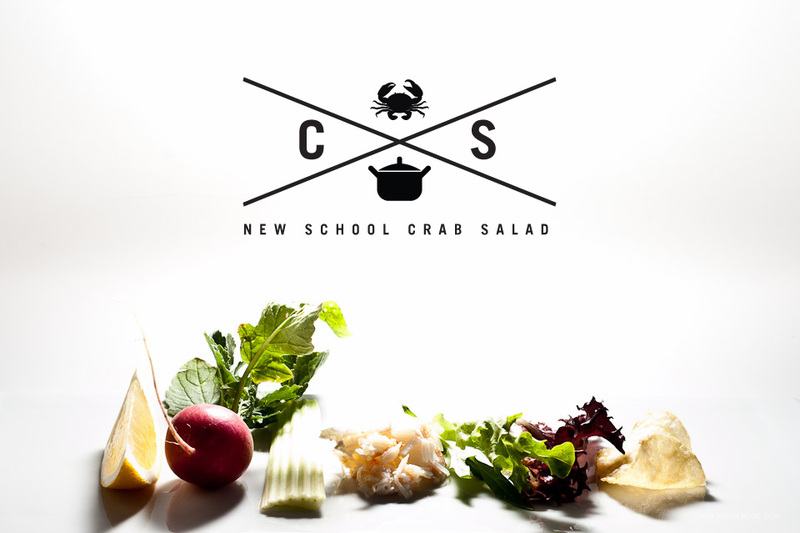 I’d advise against using canned crab for this salad, just because the crab is the star. 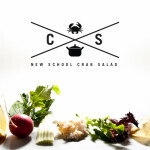 Even though the focus of the salad is the crab, I think the most addictive component are the chips. The contrast between the crazy crunch of kettle cooked chips and the soft, tender crab is incredible. 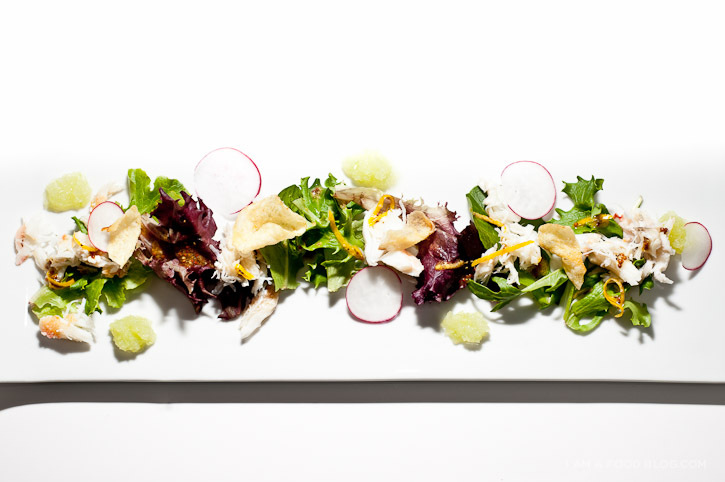 i am leafy, i am crab-topped: i am crab salad! 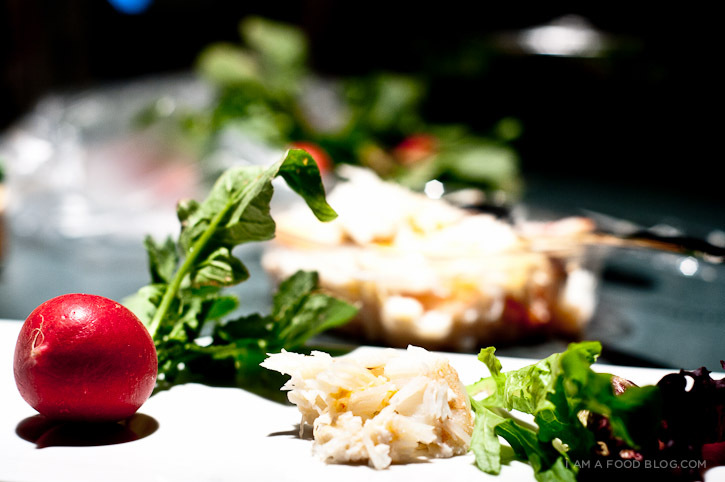 Arrange the salad greens, crab and sliced radishes on a plate. In a bowl, whisk together the lemon juice, olive oil, honey and lemon zest. Season with salt and pepper to taste. 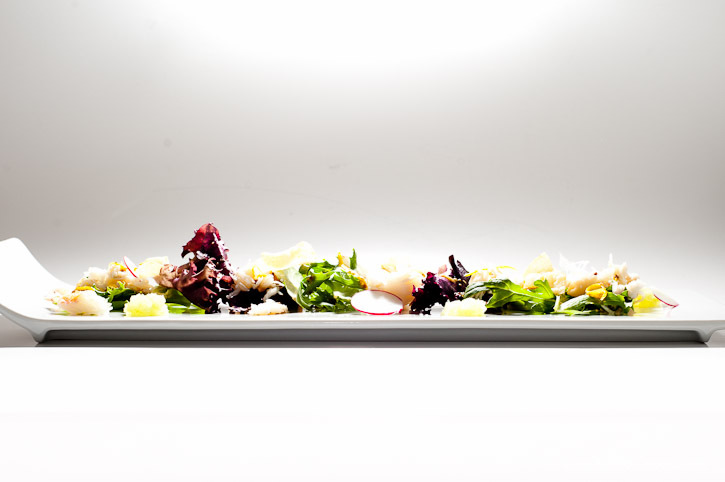 Drizzle the salad with dressing to taste and top with a couple of salt and pepper chips. **If you’re wondering what the green blobs are: I tried to make a celery puree, but it didn’t work out quite as planned so I left it out of the recipe. Loving your blog daily! Just curious, did you mean you would advise not to use canned crab? I’m sure that’s what you meant. No offense to canned crab. Such a simple recipe I should try this!